Surrounded by olive trees, and with beautiful views across the Italian Riviera, farmstay Natta Di Monte Tabor is a charming, rustic farmhouse with an outdoor swimming pool. 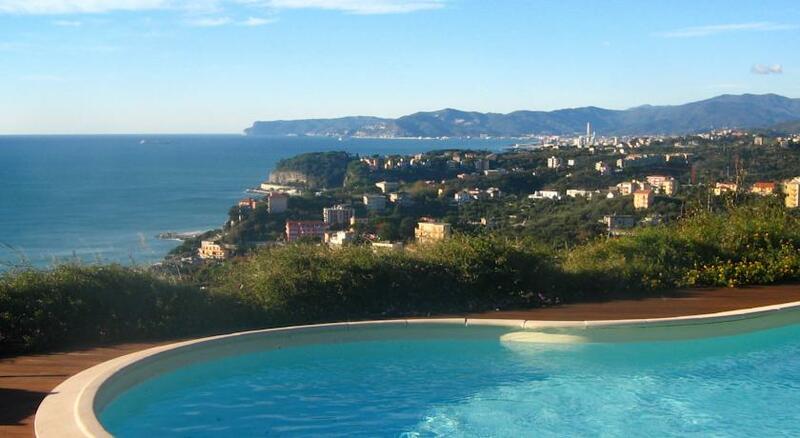 Agriturismo Natta Di Monte Tabor is in the village of La Natta, between Celle Ligure and Varazze and is a short car trip from some of the Italian Riviera’s finest beaches. They serve up a great Breakfast in the flower filled garden with vegan and vegetarian options available on request. Their elegant rooms come with air conditioning, a TV and fridge. They have beautiful old style wood or terracotta floors with wood-beamed ceilings and each comes with a private entrance with a nice shared, shaded seating area of the garden.